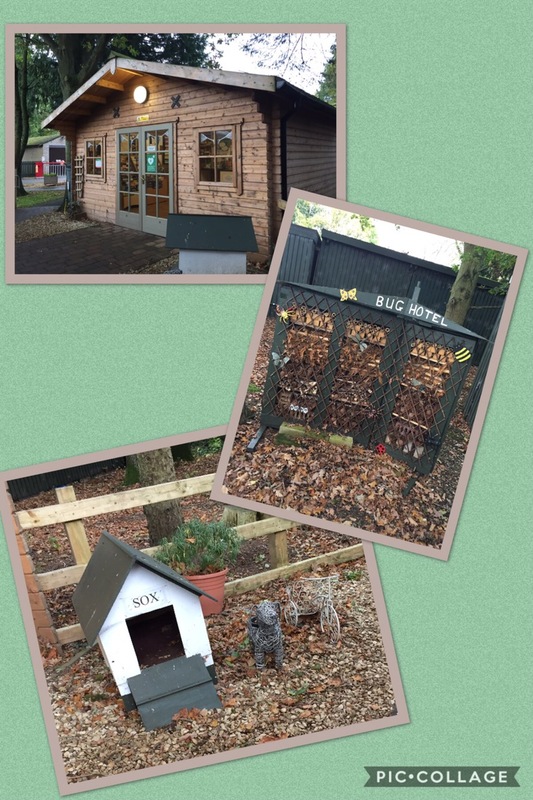 Brilliant ride used Caravan Club sites. Callum, Daniel, Jørgen and myself had known each other for a while before we’d even ridden together. We met through one of the dustier, more niche corners of the internet, Reddit’s cycling forum reddit.com/r/bicycling/. Despite coming from varied cycling backgrounds, we all had an appreciation and a longing for that one challenge that would test us. 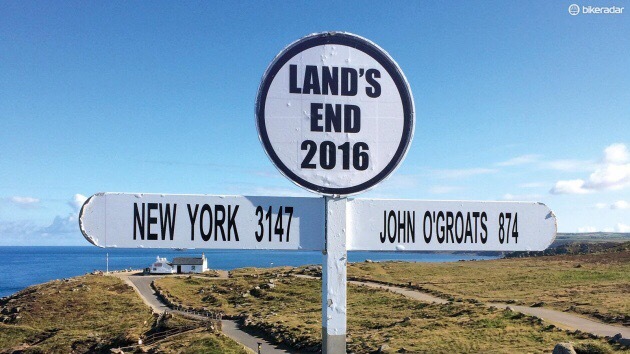 So when a reader suggested Land’s End to John o’Groats, I pitched the idea and without hesitation they said yes. 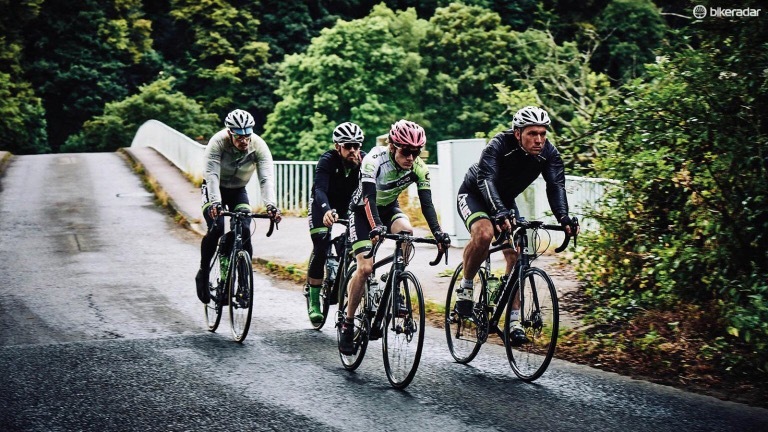 With the team down to Daniel and myself on the final day, everything came to the surface at the final feed stop at Bettyhill — an agonisingly close 50 miles from John O’Groats. 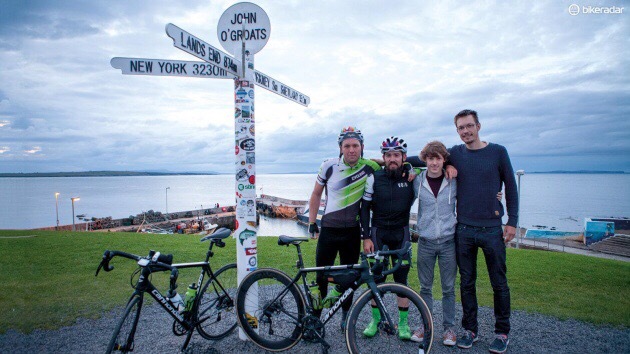 The final run in to the famous John O’Groats signpost seemed to drag, but once there we exchanged some weary thank yous and tired handshakes and still managed to pop a bottle of bubbly in triumphant glory. IAM RoadSmart has welcomed an increase in the punishment for drivers caught using a held-held mobile phone whilst driving – saying drivers need to learn that their actions could kill. 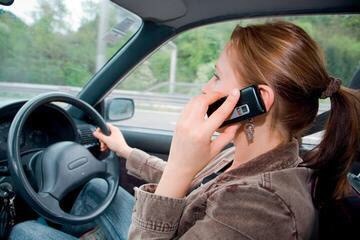 This morning (8 November) the Government announced that anyone caught using a hand-held mobile phone while at the wheel of a car would be fined £200 and receive six points on the licence – a doubling of the existing penalty. The issue was brought into sharp focus last week when lorry driver Tomasz Kroker was jailed for 10 years when he killed a family of four in a crash caused by him being distracted by his mobile phone. Neil Greig, IAM RoadSmart Director of Policy and Research, said: “Addressing the growing problem of smartphone use whilst driving will require a combination of enforcement and education as well as drivers, passengers, companies and individuals taking more responsibility. Neil added: “It is essential that drivers get the clear message that if you are on the phone and have a fatal crash you can expect to go to prison for a long time. There is a lot of support among the driving public for stronger penalties and more enforcement focus on mobile phones, but also a feeling that this is not always reflected in sentencing. Pods are all around us. Everywhere I go pods are appearing. 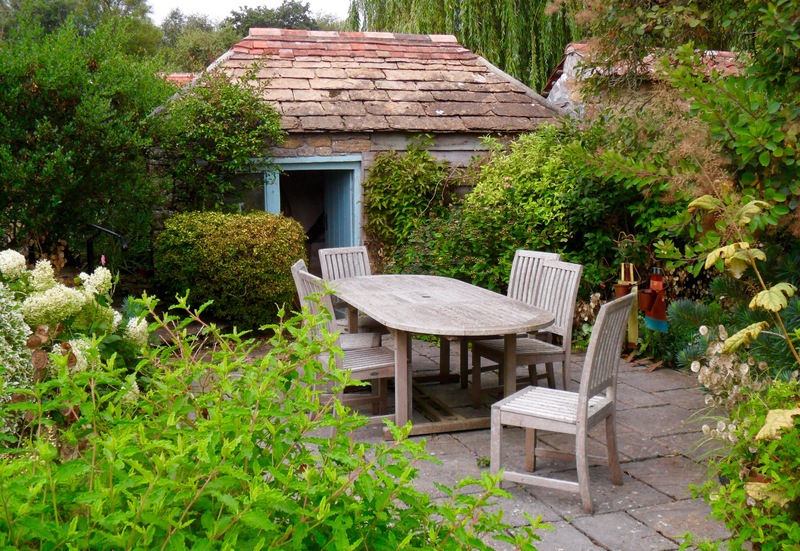 Staying at Run Cottage near Woodbridge Suffolk this weekend http://www.runcottage.co.uk there are a couple of the best I have seen in terms of the way they are sited next to a lovely and beautifully looked after pond, the comprehensive specification of what is on offer – and a competitive price around £50. 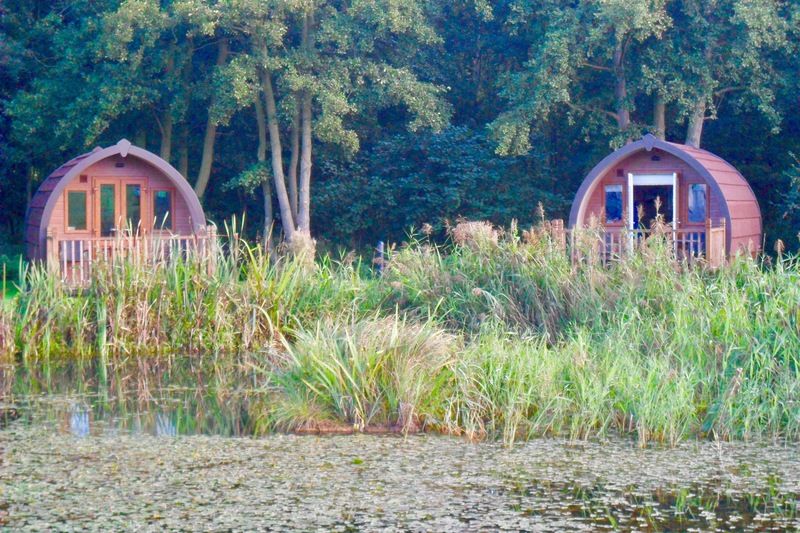 Described here rightly as luxury glamping pods they include TV, DVD, fridge freezer,tea and coffee making stuff, crockery and cutlery, BBQ, heater, pillows sheets and duvets. 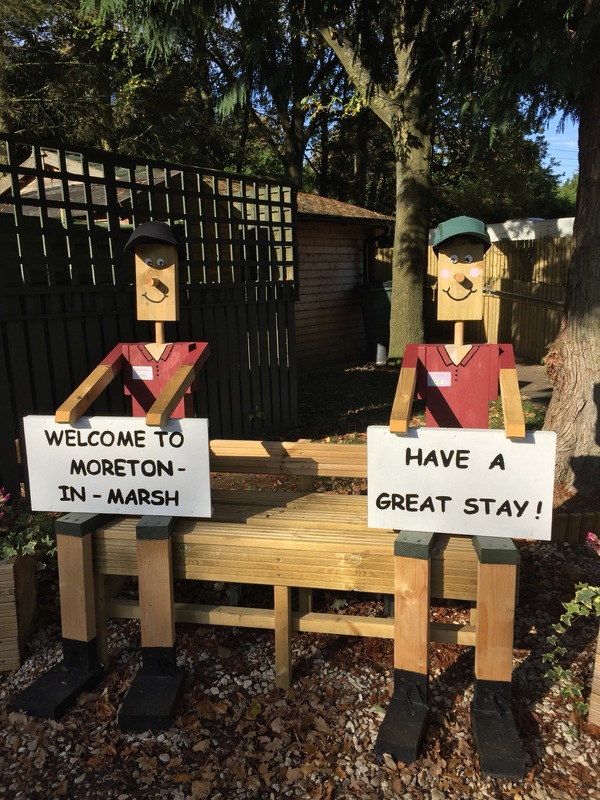 Both pods were rented out and the occupants seemed entirely happy sharing other facilities such as the loo block with motorhome owners like me and other caravaners even though they themselves were on a glamping experience and in no way part of the camping or caravanning fraternity. Much as I love my motorhome lifestyle I am the first to acknowledge that one person’s lifestyle choice is another person’s anathema and the extent you can successfully mix it all together is up for question. But here it seems to work just fine presumably giving the site owners an additional income stream which I am sure they are monitoring closely to see if additional pods might be justified and viable. On an entirely unscientific basis, it was interesting to see the glampers this weekend were young people; a title which could scarcely be applied to me or my near neighbours on site. Is this the future then?! Wellhouse Leisure – big range for the NEC Show. The Wellhouse Leisure stand in Hall 12 at The Motorhome and Caravan Show 2016 is particularly worth visiting this year as it will have its widest range of eight different campervan ranges to see, including the debut of five all-new models. 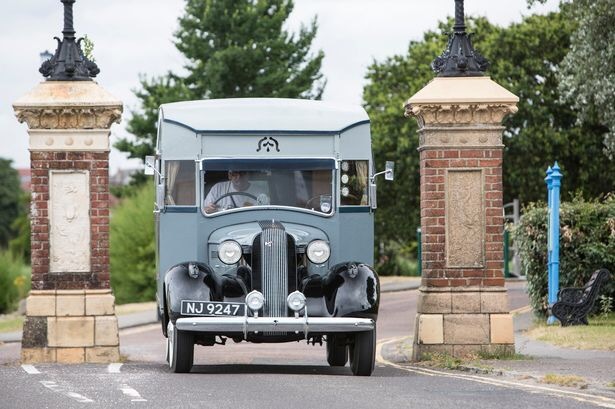 Its most successful campervan, the Ford Terrier 2, will be there with three variants to see: the best-selling SE, the eye-catching M-Sport, and the new long-wheelbase model launched this summer which can seat up to seven people. All Terriers feature the practical, sliding rear seat, stylish, high-quality Tecnoform furniture and the new 130PS, 2.0-litre, Ford Euro 6 engine, with improved fuel economy and torque compared to the previous 2.2-litre, 125 PS TDCi unit, plus the new option of automatic transmission. For something more compact based on a Ford there’s the two-berth Wellhouse Ford Evie camping-car, winner of the Micro Motor Caravans class of The Caravan Club Motor Caravan Design Awards 2016, available from £28,500. The popular, and award-winning, Hyundai i800 Camper will be at The Motorhome and Caravan show after making a welcome return to the Wellhouse range this summer, with prices starting from £42,000. It has a particularly high standard specification, including oven, heating and hot water system, plus an external shower, with standard or special edition trim levels available, plus the option of automatic transmission. Another model returning to the Wellhouse stand is its redesigned Mercedes Vito-based Moselle, which now features an all-new kitchen and storage unit from the Italian furniture designer, Tecnoform. It still has an SCA elevating roof, seats five people and has Wellhouse’s trademark sliding rear seat system, with prices from £44,500. 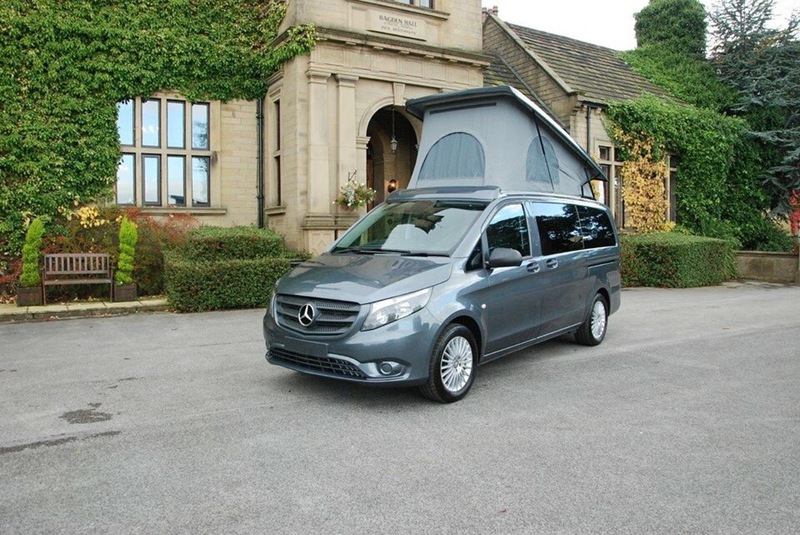 The luxury specification includes solar panel, heating, a choice of three Mercedes BlueTec Euro 6 engines, with rear-wheel drive, plus the option of automatic transmission. The Zooom Mobile NV200, based on the compact Nissan NV200 van, is a new model that Wellhouse Leisure is considering introducing for the UK in partnership with the German manufacturer, Zooom. It is offered with two or five seat models plus an elevating roof, and can be fitted with storage units in the back, including a fold-away kitchen unit. The first of Wellhouse’s all-new models is based on the stylish, new Toyota Proace. Wellhouse is one of the first in the UK to develop a campervan conversion of Toyota’s new van. In fact, this exciting new model is so new that Wellhouse is not able to show the finished interior conversion yet, with the example on show fitted with side windows and an elevating roof only so that people can see what size and look of it, and pre-order one. It will have four-seats, an economical 1.6-litre diesel engine and a body length of 4.9m. Prices are expected to start from around £38,000. 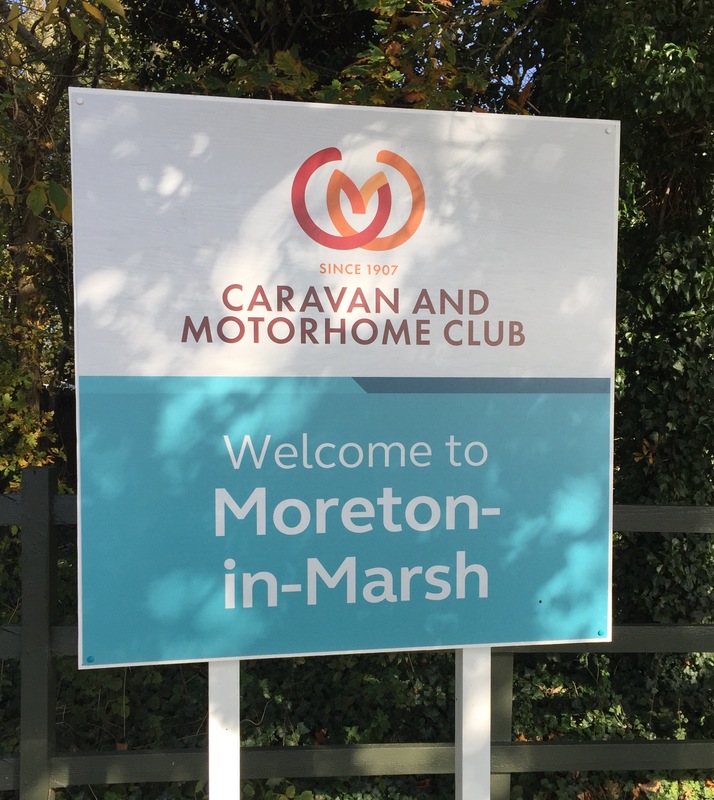 Wellhouse has co-operated with Nu Venture motorhomes to develop a coachbuilt-style model based on a Ford Transit Custom cab, which makes its debut at the show. The two-berth coachbuilt body is the same width as the base vehicle to make it easy to drive and compact enough to be used every day. 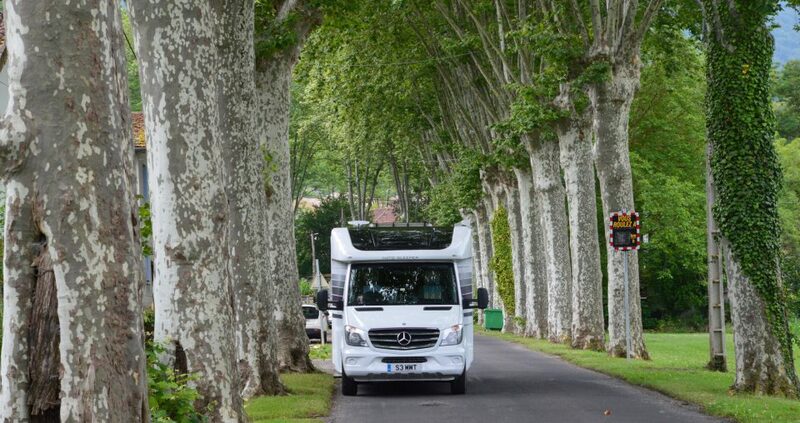 This two-berth model is 5.5m long with an entry door at the rear, and a comfortable interior with all the features of a full-height motorhome. This includes a front lounge with side dinette that converts into two singles or a double bed, over cab storage area, kitchen and full washroom with shower. Prices are expected to start from £46,000. The final all-new campervan being launched at the show is its first conversion of the SsangYong Turismo MPV. This car-sized campervan, powered by a 178PS, 2.2-litre, Euro 6 diesel engine, really is a multi-purpose vehicle with an elevating roof, kitchen unit, four seats and four-berths, with prices expected to be from £29,995. 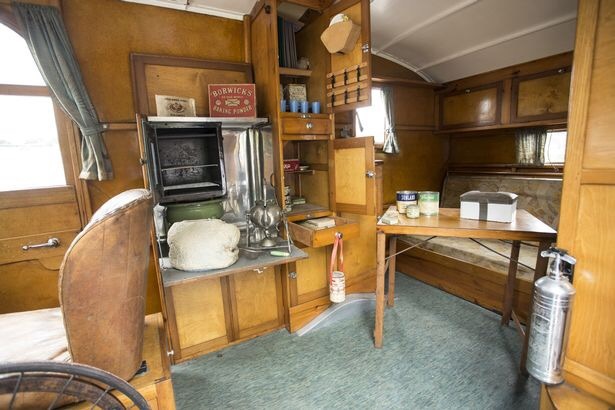 Retro 1930s motor believed to be Britain’s first motorhome has been sold at auction for £34,500. The 1936 Pontiac Six has been described as “outstandingly original” after still being fitted with all its original features, including the curtains, water softener and old tins of jam. The time-warp motorhome went under the hammer as part of a Bonhams vintage car sale at Goodwood Revival this weekend. The original owner, Captain Dunn of Bexhill, East Sussex, ordered the motorhome in 1935 through a local coachbuilders, Russell’s of Bexhill. Left the motorhome at home – OMG!! Doesn’t happen very often but this weekend we have abandoned the motorhome and are staying with friends in Dorset. What you might call a classic country weekend. 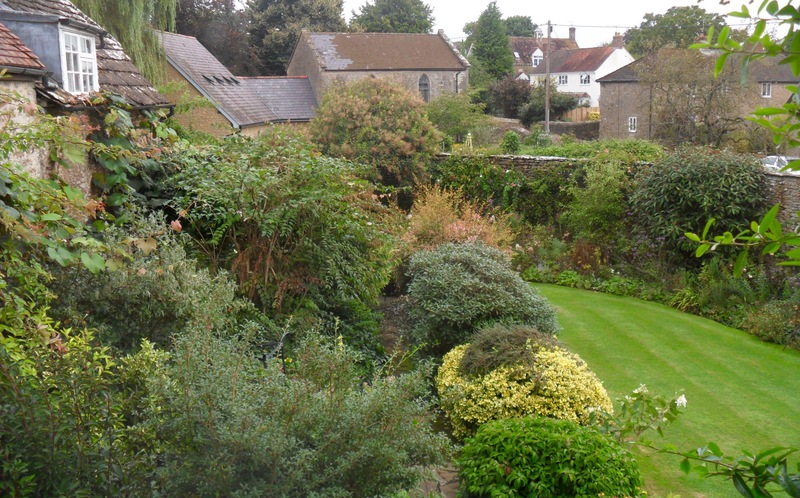 My personal view is that both Suffolk and Dorset are two of England’s best kept secrets and certainly our weekend near Sherborne is confirming that.